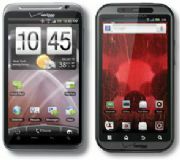 CTIA Spring 2011: Hot Smartphones Galore! If you're in the market for a phone this spring, you're going to have quite a hard time making a decision. Remember all those cool phones we saw at CES back in January and last month at Mobile World Congress? And do you recall that virtually none of them had pricing or availability attached to them? Well, CTIA Spring is when all this information is released. You'll also see a lot of familiar phones launched overseas get rebranded for US carriers. Here's what to expect from the Big Four carriers. Besides the HTC Thunderbolt, the Motorola Droid Bionic was one of Big Red's hottest phones at CES. The Thunderbolt already came out this week, and we are still waiting to hear more on the Bionic. I have a feeling we might find out when this dual-core beast is coming to Verizon as well as more information about the other 4G phones we saw, like the LG Revolution and that "Samsung LTE Phone" (which is rumored to actually have a name now, "Stealth"). We should also be finding out more information about when the Sony Ericsson Xperia Play is coming to the carrier. The Xperia Play debuted at Mobile World Congress, but made its first official US appearance at the Game Developers Conference here in San Francisco. I'm curious whether the other Xperia phones from Mobile World Congress are headed toward our shores and whether they too will go to Verizon or to AT&T. Sony Ericsson and AT&T have had a tight relationship in the past (every subsidized Xperia phone has gone to AT&T). Last but not least, there's the rumored Droid Incredible 2 which is rumored to sport a 4-inch Super LCD display, a 1GHz processor and have a front-facing video camera. But the best rumor about this phone is that it supposedly will have Android 2.3 aka Gingerbread at launch. Finally! With all the 2.2 phones coming out, a Gingerbread phone seems almost mythical. The hottest T-Mobile rumor is regarding a version of the LG Optimus 2x, which will be rebranded as the LG G2X (not loving this name) according to the blogosphere. We first saw the dual-core Optimus 2X at CES and were impressed with its big, beautiful display and super thin design. The only downside is that the 2X is not a 4G phone so it is likely that the G2X won't run on T-Mobile's 4G HSPA+ network. 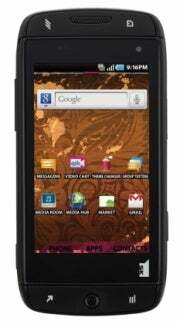 We'll also hopefully get our hands on the T-Mobile Sidekick 4G, which was announced this week. As a former Sidekick user and a fan of QWERTY keyboards in general, I'm pretty excited to see how this generation stacks up to my beloved Sidekick LX. One of my biggest gripes about the Samsung/Google Nexus S, the Android 2.3 flagship phone, was that it didn't support 4G. I really hope the rumor of the Nexus S coming to Sprint's WiMAX 4G network is true because I'd love to see another 4G Gingerbread phone out in the wild. The Nexus S is an excellent phone as is, but 4G makes it even sweeter. Sprint took a page out of Verizon's "Droid" playbook by marketing other phones under the "EVO" name. At CES, we saw the EVO Shift 4G. At CTIA, Sprint is rumored to debut the HTC EVO 3D, a phone with 3D capabilities. Does this mean a 3D display? A 3D camera? Personally, I think 3D on a small phone display is a bit of a gimmick, but HTC hardly ever disappoints with their innovative designs. We'll just have to wait and see what they come up with. Besides these super smartphones, expect a lot of lower-end, inexpensive Android devices. We've heard rumors of Android 2.2 phones coming to the carrier for as low as $50. The rumors around AT&T's spring line-up aren't as hot as the others, but the carrier is holding an event at the show so they'll definitely have something to show us. Could it be pricing and availability information on the HTC ChaCha and Salsa Facebook phones? The Xperia Arc, Neo and Pro could also be headed to the carrier. Have you heard any rumors? Which phone are you most excited for? Sound off in the comments below.